On Saturday, January 13th, Stichting Ontwikkeling Rif (SOR) has accepted the invitation of Vereniging Syphax and will be present in Utrecht. 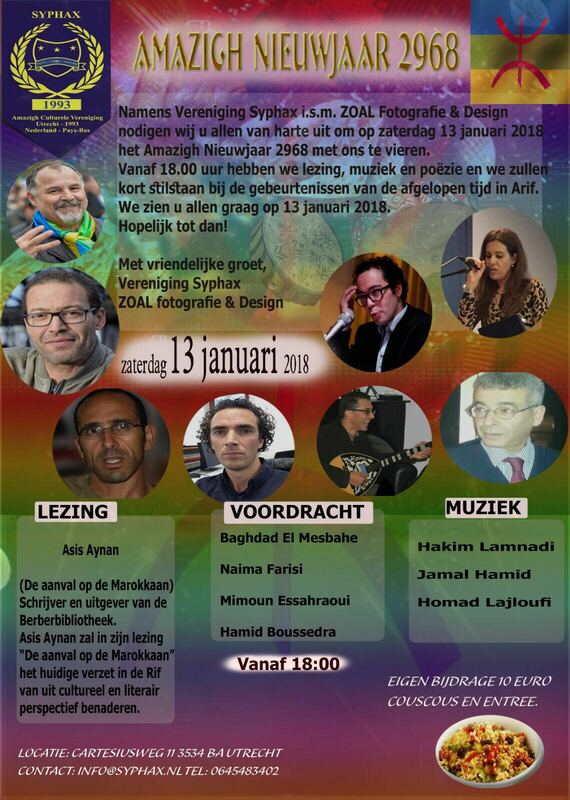 Vereniging Syphax has invited SOR to celebrate the Amazigh New Year 2968 with them. Would you like to get to know SOR and learn more about the objectives of this foundation? You are most welcome to find out. Vereniging Syphax will install a few tables in benefit of SOR which profits will go to our foundation. More reason to be there: celebrating the Amazigh New Year 2968 together and at the same time being able to do something for the people in the Rif.